Lovely cover page inset that reflects an interesting blend of Romanticism and Realism. 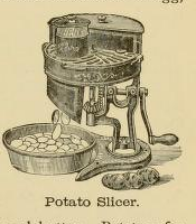 Source: Harder’s Practical American Cookery, 1885. Such time and effort were taken to make things beautiful. Indeed! I think this print is simply lovely!